And the winner is Dan Carlson! Classitis is the measles of markup, obscuring meaning as it adds needless weight to every page. The affliction dates back to the early days of semi-CSS-capable browsers and the many designers' initially childish comprehension of how CSS works. Clean meaningful markup is the API that users and web crawlers consume - it's important and easy to keep things clean, it just takes a little experience. Thank goodness for patterns like MVC that let us control our API (the markup). I always found the definition of "Semantic / Structural Markup" murky on the intertubes. I thought Jeffrey Zeldman described it well in his book Designing with Web Standards. What Is Semantic / Structural Markup? Zeldman goes on to make many great points on why semantic markup matters, here's my paraphrase. Why Does Semantic / Structural Markup Matter? did I mention Search Engine Optimization? 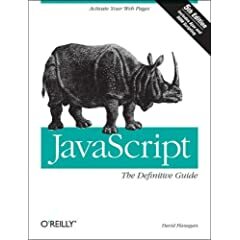 If you're interested in learning more about semantic markup then view A List Apart's source code, or read their many online resources: Topics: Code: HTML and XHTML. A couple years ago I tried getting a Web Developer position at Google. After a few interviews they had me complete their Web Developer exercise. I did it, and my initial submission would have made any respectable web developer ill - you can read more here: Getting a Job at Google: A Web Developer Fizzbuzz. I redid the exercise over a year ago, but today even that code stink. I've always been uncomfortable with the ASP.NET Webform / Winform metaphor - I moved to ASP.NET from ASP 3.0 / PHP with no proper Windows development experience. The Webform / Winform metaphor was alien, but the code behind model and the ability to re-use controls drew me in, while the Webform metaphor became a tolerated evil. Today ASP.NET MVC and the announcement that Microsoft has embraced jQuery keeps me interested. Microsoft and jQuery Finally: Thank-You! I was completely blindsided by this decision.